Expand the factory sound system without replacing the factory radio, by adding an amplifier. 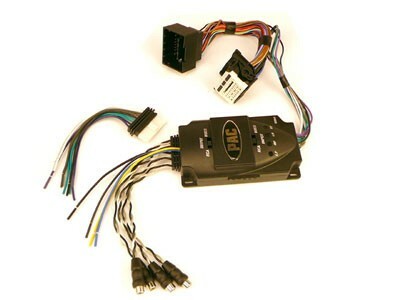 The AA-GM44 “T-harness” plugs into the vehicle’s wiring behind the factory radio providing a 4-channel adjustable audio output via two sets of stereo RCA connectors. Delivering simple and quick audio connection to an aftermarket amplifier, without affecting the performance of the stock speakers. Simplify the installation by using the AA-GM44 to provide the audio signal without having to cut the factory wiring.